Rents fell in New York, Seattle, Washington DC, San Francisco, plunged in Chicago and Honolulu. Many less expensive cities are red-hot. In San Francisco, the most expensive of the 100 largest rental markets in the US, rents peaked in October 2015, with the median asking rent at $3,670 for a 1-bedroom apartment and $5,000 for a 2-bedroom. By the end of 2017, they were down 7% and 12% from their peaks. But in the spring 2018, rents started rising again. In September, they almost, but not quite, reclaimed their peaks: The median asking rent for 1-BR apartments rose to $3,650, and for 2-BR apartments to $4,800. These are crazy numbers. Hence our local term, “Housing Crisis” – a crisis of affordability in a hyper-inflated market. 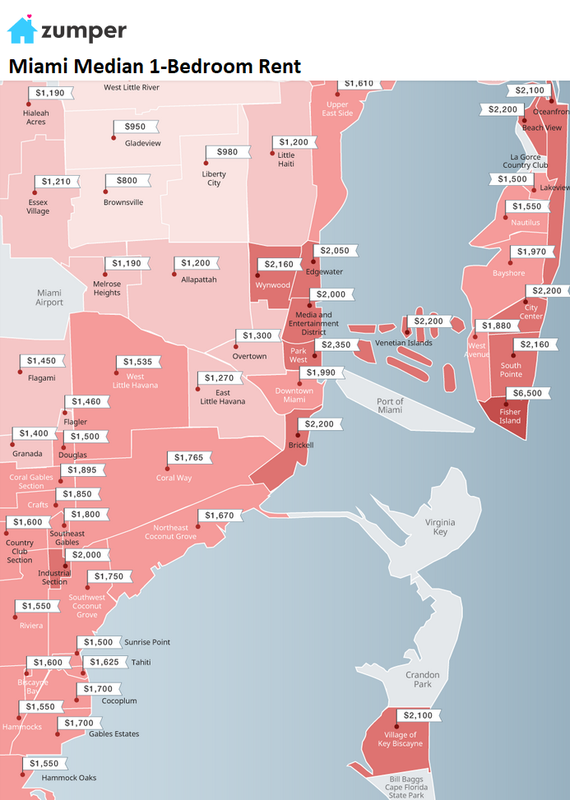 These are median asking rents. 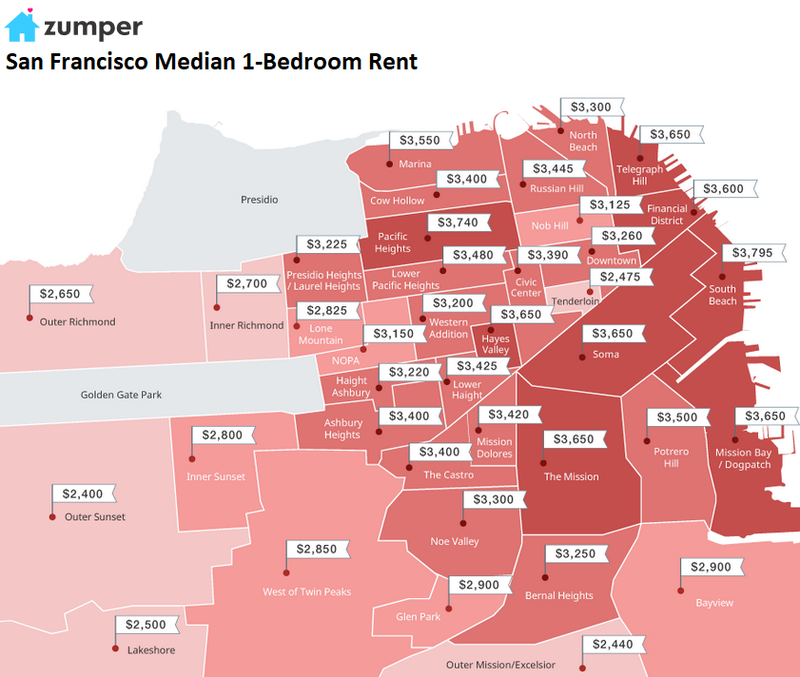 “Median” means half of the apartments rent for more, and half for less. “Asking rent” is the amount the landlord advertises in the listing. The apartments are in multifamily buildings, including new construction. Single-family houses for rent are not included. Rooms, efficiency apartments, and apartments with three bedrooms or more are not included. Zumper collects this data from over 1 million active listings of apartments-for-rent in the 100 largest markets. This includes 3rd party listings received from Multiple Listings Service (MLS). Zumper releases this data monthly in its National Rent Report. In New York City, the second most expensive rental market, median asking rents rose 1.8% for a 1-BR ($2,850) and 5.8% for a 2-BR ($3,280). But these rents are down from their peak in March 2016 by 15% and 17% respectively! In Chicago, rents have plunged since late 2015: By September, the 1-BR asking rent, at $1,510, was down 26% from its peak and the 2-BR rent nearly 30%! Part of the reason is a multi-year decline in population coinciding with new construction. In the Chicago-Naperville-Elgin metro area, with 9.5 million people, 10,700 apartments are scheduled to be delivered in 2018. But since 2014, the population has dropped by 27,000 people. 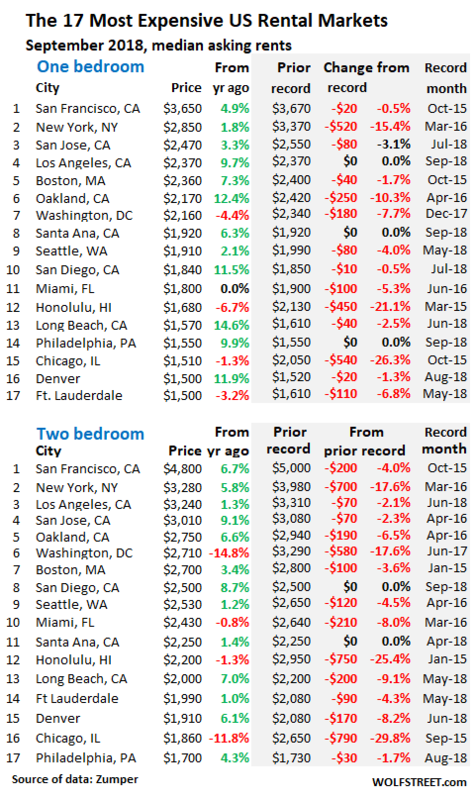 Southern California is in a full-blown rental boom: In the Los Angeles metro, the third/fourth most expensive market in the US, 1-BR rents jumped 9.7% year-over-year to a record $2,470, and 2-BR rents rose 1.3% to $3,310, down by smidgen from the record in June. To stay in Southern California for a moment: in San Diego, the median asking rent for 1-BR apartments in September jumped 11.5% year-over-year to $1,840; and for 2-BR apartments, 8.7% to $2,500. In Long Beach, 1-BR rents jumped by 14.6% to $1,570 and 2-BR rents by 7% to $2,000, both down a tad from the records earlier this year. In Santa Ana, our sample for Orange County, 1-BR rents rose 6.3% to a record $1,920 a new record, and 2-BR rents edged to a record $2,250. 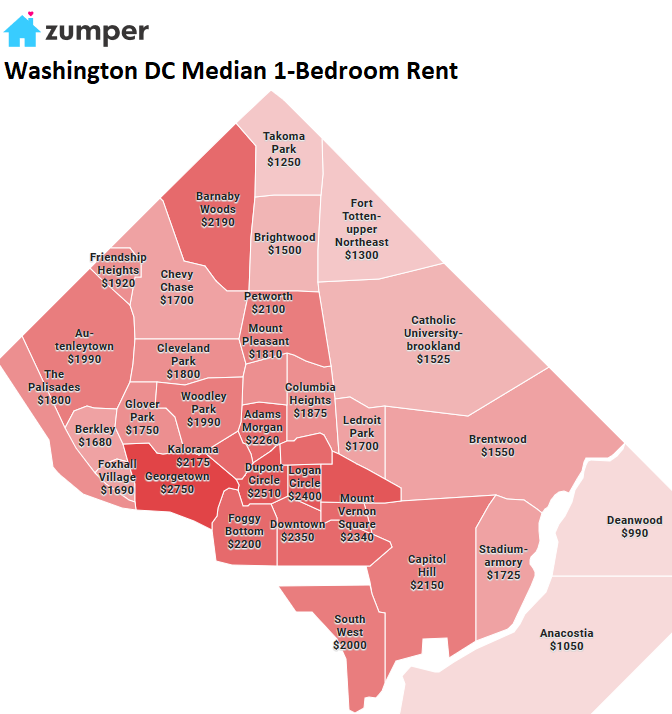 Washington DC rents are now under pressure: 1-BR rents in September dropped 4.4% year-over-year to $2,160 and are down 7.7% from their peak in December 2017. And 2-BR rents plunged nearly 14.8% year-over-year to $2,710 and 17.6% form the peak in June a year ago. Honolulu rents are still spiraling down. The median asking rent for 1-BR apartment, at $1,680, has plunged 21% from the peak in March 2015. The 2-BR rent, at $2,200, has plunged 25% from the peak in January 2015. The table below shows the 17 of the 100 most expensive major rental markets in the US. The shaded area reflects peak rents and the movements since then. The black “0%” in the shaded area means that these markets set new records in September. If rents are down slightly from the peak a few months ago, it doesn’t yet mean that the market has turned – that would require a more significant decline in rents spread beyond seasonality. Note the new entrant on the list: Philadelphia. I removed Anaheim, in Orange County, CA, because Santa Ana, also in Orange County, tracks it closely. The Seattle metro is in the middle of a construction boom. Over the five years through 2018 so far, over 46,000 apartment units in buildings with over 50 apartments have been constructed. This does not include construction of condos, apartments in smaller buildings, or single-family homes. This is nearly four times the number of units built in 2004-2008. An additional 24,000 apartments in large buildings are under construction and 40,000 are further up in the pipeline [here’s my discussion of this situation… Seattle’s Rental Bubble Meets its Inflection Point]. This flood of supply has had a dampening effect on Seattle’s rents. The median 1-BR rent, at $1,910, is down 4% from the peak in June 2018, and the median 2-BR rent, at $2,530, is down 4.5% from April 2016. Many smaller markets are red-hot. Across the US, the median asking rent in September for 1-BR apartments rose 1.6% from a year ago, to $1,211. For 2-BR apartments, it rose 3.0% to $1,443. But national numbers average away the often-double-digit drama, up and down, in individual markets. Numerous markets in the US have experienced double-digit year-over-year rent increases – including 12 cities of the 100 most expensive where these increases either for 1-BR or 2-BR apartments reached or exceeded 16%! In the lower half of the table below of the 100 most expensive rental markets, year-over-year rent increases of 12% or more are fairly common. When people say that their rent increases were much higher than the increases in the Consumer Price Index for rent, that’s why. Exorbitant rent increases are real, but not in all markets. High rents are not just an American problem. It is an international issue, affecting cities from Canada, Ireland, and all the way to Australia. I see that some countries are already taxing foreign investors and right out prohibiting non citizens from owning. I see rent control coming here to America as well. I’m surprised that in the liberal mecca of America there hasn’t been the political will to address the problem. The cities with high rent are already the ones under rent control. Not here in Seattle.. Seattle does not have rent control. Good comment. I live in a little backwater rural area on northern Vancouver Island. Due to housing pressures originating in Vancouver, Victoria, and other urban areas of BC, housing prices and rents here have shot up big time this past year. I have no idea how people just starting out get a foothold in life? I am also witnessing more people living in travel trailers that are set up in semi-permanent locations. For example, I have to drive to town tomorrow. On the outskirts there is a corner store called Duncan Bay Store. Behind it is a small rv campground, right next to small motel. The campers, trailers, and motorhomes are set up with porches, steps, etc. Nearby where I live, maybe 1km away, there is a new rv campsite. The 5 rvs currently there are set up for long term with meters, sat dishes, roofs, sheds, etc. This might be in poor taste, but good thing this isn’t tornado country. It seems rv sites and trailer parks are tornado magnets. Or maybe, just maybe, that many people now live this way due to finacial circumstance. And equity falling is pretty pronounced around the world too. 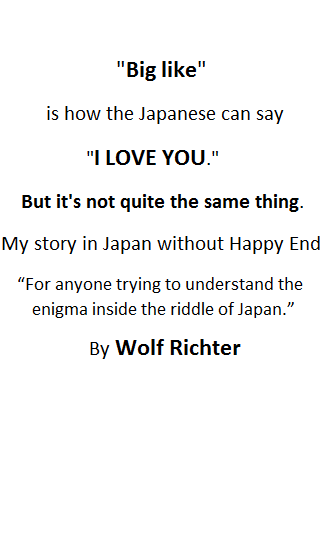 Thanks as always for yet another wonderfully detailed installment in this series, Wolf. Question: Is it possible to rejigger the Zumper data into a per-square-foot form? For instance if new supply in some area were dominated by (say) high-end units with larger square-footage, this would tend to skew the raw stats toward “more expensive” but renters of those new units would be getting more apartment for their money, thus putting the higher price in a fairer perspective. I can ask. But I doubt it. This data is gleaned from active listings. Some of them indicate the square footage of the apartment, but others don’t. Kansas City is listed at $960 for a 1 bedroom ,but the city now considers an affordable 1 bedroom apartment at $1100 . Interesting !! It’d be interesting to know what the vacancy rates are for these cities. The rental market here in Seattle seems to be cooling substantially. An anecdote: I want to move out of my current rental condo and either buy a home now versus wait for the recession in another nice rental. I dropped by a new building last month and toured some two bedroom units and townhomes. Building is new, nice, big windows, quartz counters, full size W&D in unit, 3 minute walk to upscale groceries, restaurants, mass transit. The girl showing me around says they’re at 65% occupancy; there seem to be a lot of available units. The two bedroom units rent for ~$2200-2500/month, but they’re now offering one month free rent and they’ll throw in free parking. I didn’t bite, but they call me every week now to see if I’m still interested. This last week they threw in an additional $500 debit card for signing a lease. They seem very motivated to negotiate, but they still won’t drop the rental price per month. Mark, Financing covenants likely prevent management from reducing rent. Reduced signed rent rates mean an official reduction in gross potential, which might trigger risk driven adjustments to interest, demands for capital contribution, etc. Much better (they hope) to discount from a too-high-for-the-market number than reduce the number. Just like they do with automobiles, and damned near everything else in America. Think Buy one, get one free (BOGO) next time you are in the grocery and you will see what I mean. Housing will be expensive for the masses as long as they allow supply to be constrained. 1) Fix anti-housing incentives. In California, and probably other high-rent states, cities have tax-structure incentives to promote buildings with “jobs” rather than housing, while NIMBY owners fight against new residential construction. Water supply is misallocated to inefficient agricultural uses, so residential water supply is overly constrained. 2) Tax unused property more heavily. Unused housing space is not a productive investment so it should be discouraged. 3) Phase out tax deductions for mortgage borrowers, which inflate housing demand and prices. Consider adding tax incentives for builders who construct new housing that is close to employment centers and helps reduce commutes. Those who profit from the current setup, own the politicians, the courts, you name it. All laws that impact the market have a lot of inertia because they always create a group of people who benefit the most from those laws. This creating organized resistance to changing those laws. The other 2 options are Marxist-communism (not political communism of the USSR/China, but something more in line with the Marxist-humanists). Third option is the ideas of Peter Joseph and Jacque Fresco. Resource based economics. The fact that many of these markets show a combination of stubbornly high prices *and* high vacancy rates belies your claim. You ignore the elephant in the room, another Fed-sponsored affordability crisis in non-rental housing. As long as homeprices remain in a bubble, those not wanting to buy into said bubble will face high rents simply due to the resulting high rental demand from folks like themselves. This is not like a stock market bubble, where those not wanting to buy at elevated prices can simply hold onto their cash – ya gotta live somewhere. I can only speak for SF as that’s where I manage to live, but right now the owners/developers of new buildings have not been willing to reduce prices to match demand. There’s a couple of buildings that just went up on 16th st just outside of Dogpatch (the new up and coming area) and they’ve been having problems getting renters, so instead of lowering prices, they’ve found a “Disruptive Startup” that matches up roommates, so you can share a 1br apartment with a stranger. It’s all screwed up. The housing bubble is still there and needing popping too, but it just compounds things. Same here in Boston/Cambridge/Somerville. Many realtor listings for apartments are actually shares to move in with 1, 2 or more strangers. It is difficult to weed through these ads to find apartments that are not room or housemate situations. When I lived with roommates years ago, people would advertise for and seek their own roommates, realtors were not involved and were not getting a realtor fee. The declines in rents are just growing pains for the new system. Young people must become acclimatized to the ‘new normal’, which is actually the ‘old normal’, when it comes to living conditions. So any slow down will soon reverse to higher prices. It was common in tenanments of old for the working class to sleep ten to a room, then die covered with garbage in squalor. I see the millenials are finally getting it. Ten to a room will be the new normal in twenty years. Also see Soylent Green, for your almost guaranteed future. Ugh, perhaps they’re moving to the suburbs and rural areas? It’s as busy around here as ever before…. Used to be rare to see a vehicle every 10 minutes now it’s every minute and it feels like a zoo awash in people. My thoughts& I can be wrong is if people stop renting single family homes from Wall Street, Wall Street would either start slashing rents or starts selling Inventory. People would be able to purchase homes& if so this Country should make sure it’s to live in & not be an overseas investor. I like the idea, but if people aren’t renting and they haven’t bought yet, where are they going to be living ? It is a competition though between available housing and who can afford it. I don’t know if investors can outpace proper buyers and control the housing stock for it to be only available to rent, or not. Also I don’t know how many families are willing to buy at all anymore, I guess at reasonable prices they would be but there is a tendency to just stay out of the whole show for various reasons ( mobility, separations, price volatility, job stability lacking, avoiding heavy commitment, over endebted already etc.) . I’m not in the US so I really don’t know how it looks overall there in detail from recent firsthand experience. Maybe someone else will say better, because it is an interesting question. Wow thanks for the article Wolf. Attesting to the LA numbers, its true that its softening especially on the 2+ bedroom rentals. Even on the prestigious west side 3 bed can be found for even bellow $3k. I’ve noticed an increase in rental offer signs on lawns in Long Beach recently. When will this bottom out? Getting so tired of waiting. Wolf, How much do you think Wall St. plays into this? Especially on the “not budging” (Negotiate) in the monthly rent prices? They are already one of the largest landlords in the USA. Too big to fail? Will they not bend on price due to quarterly profits? Their “losses” can be also exeggarated and are tax-deductible. The modern economy has nothing to do with profits – it’s all about asset values. Think Amazon, Tesla, Netflix and so on. With housing, they’d rather hide more vacant properties and keep the values high than maximize rent. With a negative risk-free rate in much of the world they don’t have much pressure to be profitable if the cash flow is fine. I meant theyd rather keep asset values high by maximizing rent on paper rather than maximizing rental income by keeping vacancy low and promoting long-term renters. I really wonder what they roll into “Seattle”? Tacoma is very different, likewise Redmond, or Edmonds, all of which are 1-2 hours commute from downtown Seattle. If it’s logical to separate San Jose from San Francisco than Tacoma should be looked at apart from it’s sister city. 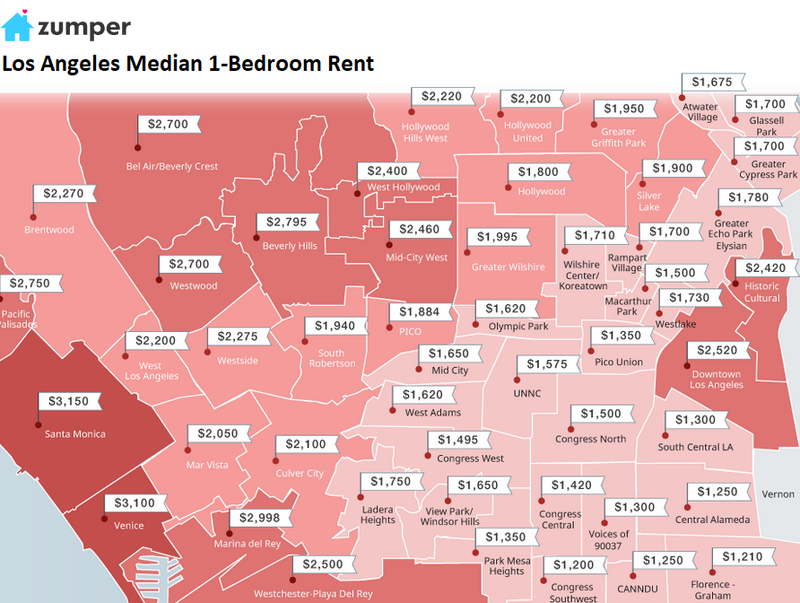 However, in this apartment rent article, I use Zumper’s data that is for the larger area that includes Tacoma. As you can see from the maps I included, there are large differences by neighborhood within the same city. So that’s a problem we always run into, that rents on one street corner are much higher than rents half a mile away. As they say, real estate is local. A lot of nice areas along the front range and if your from somewhere else ,that’s just your deal? Colorado is for settlers. I live in Chicago. Zumper over represents all of the new luxury apartment listings and under represents all of the basic non luxury listings. Further, they over represent about six of the most expensive Chicago neighborhoods and hardly any listings from all of the other neighborhoods. Chicago has a grand total of 77 neighborhoods. You can list for free. But in order to have a premium listing, it will cost you. I help manage properties of friends and relatives. I get enough qualified perspective tenants via word of mouth and Facebook. Nonsense. You just didn’t read the article, that’s all. If you had read it, you would have known that these listings are from Multiple Listing Services (MLS), which include just about all listings by any listing service, not just Zumper’s. 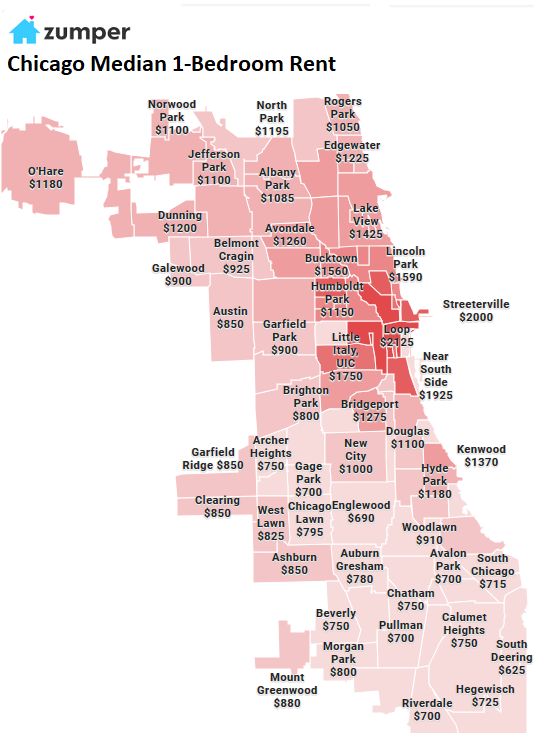 It would have also been helpful for you to at least glance at the article and look at the map of Chicago neighborhoods and median prices by neighborhood (second map in the article). ….but there has been “little to no inflation in the last year” according to gov’t statistics! .. I learned along time ago that all these statistics are meant as opiates for the massses..
We have sold out our next generation with stagnating wages and exploding costs. And we wonder why we end up with extreme left or right politics. Perhaps if us older generations were a tad more compassionate for the next generations through sacrifice and modesty we’d all live a little more peacefully. Rents are included in all consumer price inflation data. As you can see from the article, rents vary widely, declining in some areas and rising in others. So on a nationwide basis, it averages out. I always find these no means yes things confusing. Currently, the state of California limits what kind of rent control cities can impose (I think these limits are reasonable). The state-wide proposition on the ballet will lift those limits and leave it up to the cities to decide what kinds of rent control they want. Some cities may not change anything, others may go full hog. The wrong kind of rent control can kill the construction of apartments — which would be the worst thing in the tight California housing market. What California cities need more than anything is a big bout of overbuilding, followed by a decline in demand, followed by a sharp decline in rents, which would sold the housing crisis. Putting even more limits on new construction would be nuts. Prop 10 is the first time in my left leaning life I’ve felt contempt for socialistic tendancies. Let’s get real here.. if we cap rent prices on all buildings we will have another wave of homelessness sweeping the state. Who in their right mind would want to be a landlord in that new world order? I’m very left-leaning myself and will vote no on prop. 10. San Diego and social rents were pretty slow growing the last few years weren’t they? At least in the 2 bedroom market. I wonder what is causing the surge in san diego? Maybe more people renting because fewer can or want to buy? We have some well paying jobs but it seems hard to sustain given generally we lag behind LA in pay and way behind the Bay… but our rents aren’t all that far off. LIVING IN SPOKANE VALLEY RENTALS ARE FEW AND FAR BETWEEN. I MOVED HERE IN1984 YOU COULD RENT A DIFFERENT PLACE ONCE A WEEK. APARTMENTS WERE JUST STARTING TO MULITPLY IN LARGE NUMBERS ALL THE CITY AND OUT LYING AREAS. RENT FOR HOUSED WERE CHEAP. TWO YEARS AGO I HAD TO MOVE BACK TO SPOKANE FROM VALLEYFORD, AS MY LANDLORD WAS SELLING THE PREMISES WE WERE LIVING IN IN A SMALL FARMING AREA SOUTH OF THE CITY. MY LATE WIFE AND I HAD THE FIRST OPTION TO BUY BUT SHE PASSED BEFORE WE MOVED AND LOST A THIRD OF MY INCOME SO TO TOWN I WENT. HARDLY ANY RENTALS WORTH LIVING IN WERE AVAILABLE. APARTMENTS WERE TO HIGH IN PRICED AND IN FLOORS. I CAN’T DO STAIRS ANY MORE SO THAT WAS OUT. FOUND NEW ONE FLOOR DUPLEX AND LEARNED FOR RELATOR THAT THE BANKS HAD PULLED ALL OF THEIR FORECLOSED HOMES THAT WERE RENTALS OFF THE MARKET. THAT DRIVING UP RENTAL PROPERTIES. MY RENT HERE FOR A NEW 3BR 2BATH IS $1250 A MONTH. 300 MORE THAN WE WERE PAYING. NOW TWO YEARS IN THIS PLACE THIS LANDLORD IS MODIFYING HIS 4 DUPLEXES TO ASSISTED LIVING HOMES. IN OTHER WORDS I HAVE TO MOVE AGAIN SO HE CAN DOUBLE HIS INCOME BY GETTING STATE CERTIFICATON AFTER UPDATING ALL OF HIS UNITS AND PAYMENT THEN COMES FROM THE STATE TO TAKE IN DISABLED PEOPLE AND A CARETAKER. KICKING ME A DISABLED VETERAN OUT TO THE CURB. IT TOOK ME SIX WEEKS TO FIND THIS PLACE. I HAVE NO IDEA HOW LONG IT WILL TAKE NOW THIS TIME OF YEAR AS MOST OF ALL THE GOOD PLACES HAVE BREN SCOOPED UP DURING THIS PAST SUMMER, WHEN PEOPLE ARE MOVING. I DY THINK THAT THERE ARE ANY RENTAL PRICE CONTROLS HERE YET BUT THEY COULD SURE USE THEM. I DON’T KNOW HOW THE LOWER INCOME PEOPLE ARE DEALING WITH THIS AS OF YET BUT PEOPLE ARE WAKING UP. THIS PAST WEEK I HEARD A NEW REPORT ON THE RADIO THAT 50 PEOPLE ARE HAVING TO MIVE OUT OF A COMPLEX SOMEWHERE IN TOWN BECAUSE OF SOME KIND OF PROBLEM. THEY WERE VERY VAUGE ON THAT PART OF THE STORY. SO NOW I HAVE AT LEAST 50 MORE PEOPLE ALSO LOOKING FOR SHELTER PRE-WINTER CONDITIONS. I GUESS MY NEXT MOVE IS TO THE CAR UNTIL I FIND SOMETHING SUITABLE. David, thanks for sharing the situation you’ve found yourself in. I accept that you’re “half blind,” as you say, and will make an exception to the “no ALL-CAPS” rule for that reason. Please mention the “half-blind” or similar in all future comments here so that your comment won’t end up on the ALL-CAPS chopping block. It’s worth noting that in the Boston area, you need to include the broker fee for existing rentals in the total which is frequently an entire month’s rent, possibly negotiated down to 50%. So a $2,000/mo place is actually $26,000 a year, rather than $24,000. Enforce immigration laws and rentals will drop like a rock. Voters don’t want amnesty. Donors want amnesty. The above is an open secret and has been known for 30 years or more? DDE deported when he was President (1953-1961). Data from that time details the winners and the losers of deporting as a policy. Hint: a man who quit school in the 3rd grade could make enough to buy a house and feed a family of 7 with manual labor. Trump is repeating history. Everyone likes Ike. Everyone hates Trump (except the people who voted him President). Hillary as Adlai Stevenson. I rent to (poor) millennials, in Seattle, by the University of Washington. I rent rooms ( 32 units ) in shared housing (e.g. the kitchen is shared ). They’re making a rental decisions based on what their friends are saying on Facebook, apparently. Last 7+ years, no vacancy was the norm. Last month, September 2018, I had a 33% vacancy rate. It could me, or it could be the new construction. Interesting. Wondering: Maybe a co-living startup with the right kind of free craft-brew in the shared fridge opened up, and it was the new cool thing to do, according to FB friends? This is happening here in San Francisco. Getting some media attention too. Have you tried to lower the rent and see what happens? I’d like to know more about the methodology of the study. The data on Chicago does not reflect what is happening on the ground. Data is taken from the northeastern Illinois region does not always reflect the reality within the City. A number of Chicago’s 77 neighborhoods have already been gentrified, many others are currently facing intense gentrification and displacement, poor neighborhoods continue to struggle with disinvestment, over 230K blacks and Latinx have left the City in less than ten years, the venture capitalist-landlords are moving in, eviction filings remain high, and 50% of Chicago households are rent-burdened. In short, I’m not sure the numbers presented in the study mean much. Maybe knowing more about the methodology would lend perspective. The methodology is explained in the article: these are asking rents from for-rent listings, including from MLS. They cover separately 1-BR and 2-BR apartments, but not studios, rooms, or 3-BR and larger. Single-family homes are not included. Condos for rent are not included. These are “median” asking rents, meaning that half of the rents are higher and half are lower.